New release 1999. 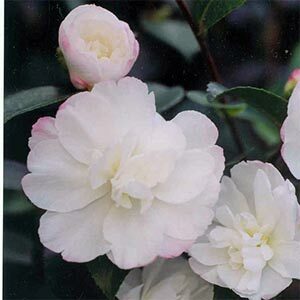 An excellent strong upright growing form which has pink buds opening to pure white semi double flowers. Ideal fo full sun or semi shade & hedging. Requires well drained soil & ha to most climates. Prune as required. Evergreen. 2.5 x 2 metres.